You would like to put in a site to site VPN from a site that has a SmoothWall firewall to another site that has a Cisco ASA. 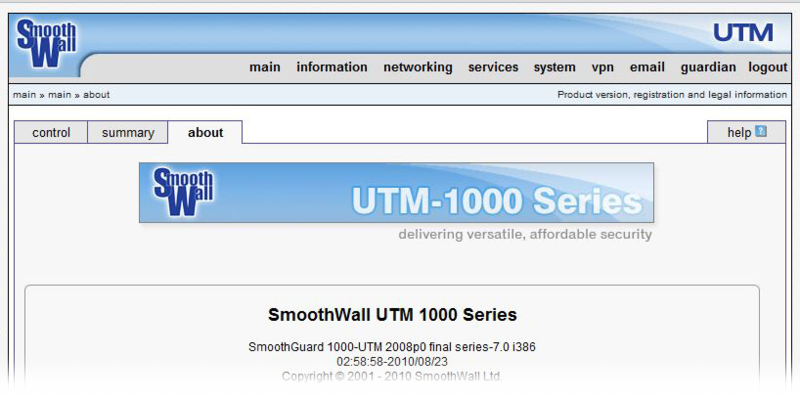 Note: This procedure was carried out on a SmoothWall UTM 1000 Series appliance, and uses a pre-shared key to authenticate the VPN. 1. For The Cisco end of the configuration, you can configure it from command line see here, or from the ASDM see here..
2. Connect to the SonicWall’s web management console. Navigate to VPN > IPSEC subnets. Name: Can be anything give it a recognisable name. Local IP : Leave blank. Local Network: The network behind the SmoothWall. Local ID Value: Leave blank. Remote IP or Hostname: The outside IP of the Cisco ASA. Remote Network: The subnet address behind the Cisco ASA. Remote ID Type: User Specified IP Address. The outside IP of the Cisco ASA. Preshared Key again: Repeat above. Note: To edit an existing tunnel, in the summary at the bottom place a tick in the "Mark" box then click "Edit". 4. Normally that should be all you need to do, however you may also need to allow zone bridging, select networking > zone bridging. Destination interface: Port that the hosts inside the SmoothWall are plugged into. Destination IP: The subnet behind the SmoothWall. Comment: Put in a sensible text comment. Note: To edit an existing zone bridge, in the summary at the bottom place a tick in the "Mark" box then click "Edit".